Although very musically interested Raff originally decided to get and education which included German language, Latin and mathematics which he studied in Wiesenstetten, but lack of money forced him to give up his studies and work as a schoolteacher. But while he worked as such he taught himself to play the violin and the piano - and composition as well. All this he did so well that he decided to send some manuscripts of his first piano works to the very influential Mendelssohn who was so impressed that he helped him to get them published (Breitkopf & Härtel in 1843. This proved to be Raff's great fortune - he was now started on a musical career and soon even Liszt took him on a tour. Mendelssohn also invited him to come to Leipzig to become his pupil but sadly enough this never materialized as Mendelssohn died. Even Liszt's efforts to secure Raff a patron in Vienna was thwarted as this person (the publisher Mecchetti) also died - in fact while Raff was on his way to meet him. Bad fortune like this did not stop Raff who went on composing and wrote critics to support himself - and slowly he became so well known that Hans von Bülow promised to play the premiere 1. January 1848 of his newly written Konzertstück for piano and orchestra. 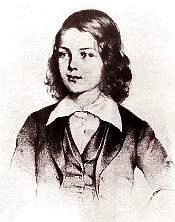 At that time Raff had already attached himself to the New German School headed by Wagner and Liszt. From on music poured from his pen and his operas were given in many German cities. 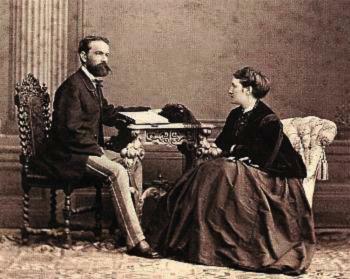 He had now settled in Wiesbaden and in 1859 married the actress Doris Genast whose father was a famous actor too. In this city he soon became much sought piano teacher and many of his works were achieved great popularity. Among the German romantic composers Raff must have been one of the most prolific with a production of several operas, choral works, 11 symphonies, orchestral works like suites, concertos for violin, cello and two for piano. Among his chamber music there are 5 string quartets, piano trios, violin sonatas, a plethora of piano music and songs. But after his death Raff's music went out of fashion and soon only his famous Cavatina op. 85 No. 3 was heard. For more than 25 years Ragni was on the board of the SMPV (the Swiss association of music pedagogues) and attained greatest respect throughout Switzerland for his engagement in musical education of the youth and for more than 10 years he was an active member of the Fachkommission Musik des Kantonalen Kuratoriums für Kulturförderung (a commission dealing with music and the promotion of culture in the Cantons). He also performed frequently as a pianist but it was composition that held the greatest place in his heart. Many of his pieces - of which there are more than 50 of instrumental and vocal nature - has been awarded. Ms. Goolkasian Rahbee is a first generation Armenian-American whose father was a survivor of the genocide, much of her music reflects a deep rooted ethnic background. The strong influences of her first spoken language, Armenian, and the folk music she grew up with, are important elements in her musical language. Her early love for music was sparked by her talented violinist mother. She began her early musical training as a pianist in Boston with Antoine Louis Moeldner who studied with two of Leschetitzky’s most illustrious pupils, Helen Hopekirk and Paderewski. Moeldner had also been a teaching assistant to, the great pianist Ossip Gabrilovich (who became Mark Twain's son-in-law). 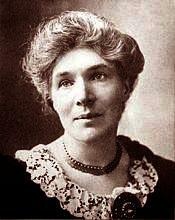 Helen Hopekirk was also a highly respected composer as well as pianist and served as a role model for Goolkasian Rahbee at an early age even though she died when this composer was only seven years old. The influence of this distinguished lineage was a powerful inspiration. She continued her studies at the Juilliard School of Music as a piano major and at the Mozarteum in Salzburg, Austria studying chamber music with Enrico Mainardi. In later years, she studied piano privately with David Saperton in New York and Lily Dumont, Russell Sherman, and Veronica Jochum in Boston. As a self-taught composer, she began writing pieces for her piano students and received encouragement to do more of this from Constance Keene, David Saperton and others. At the age of 40, she began concentrating more seriously at composing and has since produced a large body of works for piano solo, orchestra, instrumental ensembles, percussion, and voice - all of which have been performed internationally and in the US. To this author Dianne Rahbee wrote: I have recently written a new work for left hand alone commissioned by Dr. Adrienne Wiley, pianist, faculty of Central Michigan University. It will receive its World Premiere on June 23 at a 75th Birthday Marathon of Music by Dianne Goolkasian Rahbee (me) and will be performed by Ms Wiley at the Rivers School Conservatory, Weston, MA . There will be over 140 people performing in the Marathon ! Ravanello studied the organ and composition at the Liceo Musicale di Venetia before he was appointed organist of the San Marco Cathedral at the age of seventeen. Later he also taught at the Venetian Conservatory before he became director of Instituto Musicale in Padua. Beside this he became a well-known recitalist with his organ playing and especially his improvisations. His works are mostly intended for the church - among them are ca. 30 Masses, Te Deums etc. but he also composed numerous works for organ and piano - all using a late romantic language. The theme is taken from Scarlatti's F major sonata. In Scarlatti's own time the sonatas were in fact called esercizii (etudes) and he wrote 52 - alone in F major, but these 16 short variations are built on the first eight bars of the sonata: Kirkpatrick 19 (Longo 383). Already three months after his birth the family moved to Paris and here Maurice began his piano studies at the age of seven with Henri Ghys and at eleven he began to take lessons in harmony with Charles René. In 1889 he entered the Paris Conservatory - first in Anthiome's preparatory piano class and two years later he passed into Charles de Bériot's class. Later (1897) he took harmony lessons with Gédalge and in 1898 he became pupil in composition of Gabriel Fauré. Even though he was influenced by composers like Chabrier, Satie, Liszt and others Ravel's artistic outlook was unmistakably his own in its maturity and individuality but hardly any of his first attempts as a composer were favorably received - neither did the Conservatory do much to promote the talented pupil. Stylistically Ravel and Debussy are often lumped together which is nor really fair since their differences are far more interesting than their similarities. But like Debussy's music Ravel's is unique and recognizable - and in some ways it is not surprising that his left hand concertos became the most famous of all Wittgenstein's commissions - not only because of Ravels fame as a composer but because of his artistic lay-out of the solo part. Ravel himself was a exceedingly well-trained pianist - though not really a true virtuoso; he had to use both hands to play the left-hand concerto, but his understanding of writing for the piano was not lacking in either colour or ingenuity and his goal that "no one must feel that more could be accomplished with two hands" was fairly successfully achieved. Ravel composed his two piano concertos practically simultaneously which gave him a unique opportunity of considering the soloists role - with one hand in the D major and with two in the G major. At the same time the two concertos became as different in style as almost possible. The left-hand concerto is often referred to as number 2 but in fact it was the first to be finished. In 1929 Ravel had been on a tour of USA and on arriving home to France Wittgenstein's impresario Georg Kugel was asked by the pianist to approach the composer with a request to write a concerto for the left hand. 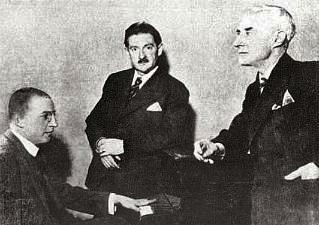 As soon as the contact had been made Wittgenstein invited Ravel to Vienna where the two men discussed the project. Ravel was very intrigued by the project - and the difficulties involved did not frighten him - indeed Ravel told Wittgenstein: "I make sport of difficulties".
" I never complained about the Concerto being too difficult (as a matter of fact, of all the concertos written for me, Ravel's is the least difficult of all). It is true that I proposed a change, but not for facility's sake, before the entrance of the piano in the last cadenza, but Ravel objected. I had to submit and I did submit. It was I who played it under Ravel's own conducting for the first time in Paris. Ravel never made the slightest objections against my interpretation, which he certainly would have done, if he hadn't been satisfied with it. After that he wanted to conduct it again with me as soloist, at Monte Carlo"
"My conviction is: the concerti written for me by Labor, Schmidt and Richard Strauss (as different as they are from one another) are musically worth more, stand on a higher plane and hence in the end are more durable than Ravel's concerto. I know that such a view may sound paradoxical here in USA, where Labor and Schmidt are completely unknown and Ravel stands at the height of his fame. But I don't err. Let me assure you that I am neither influenced by provincial Austrian patriotism nor personal friendship". Err or not - this writer's opinion is quite clear: Ravel's concerto is a masterwork and its immortality is secured. But this should not deter any from getting acquainted with f.ex. Schmidt's two works for piano left hand and orchestra. They are truly great works that are bound to give you great joy - both as music to listen to and because of Schmidt's masterly way of writing for the piano in combination with the orchestral instrument. Music is not something that can be measured in any way. Any person with a fairly good knowledge of music can hear the difference between a great work of Mozart's and one of his less than great works. But both will give you a great musical satisfaction and they are part of the musical world and its evolution. Ravina's mother was a well-known musician in Bordeaux and through her and the influence of Pierre Zimmermann Jean-Henri entered the Paris Conservatoire thirteen years old in 1831with Reich and Aimé Leborne (1797-1866) as teachers in composition. Here he developed very quickly winning all the great prizes in piano, harmony an accompaniment - and even being entrusted some teaching himself with a joint professorship in 1835. In February 1837 he left the Conservatoire and settled as a virtuoso and teacher. 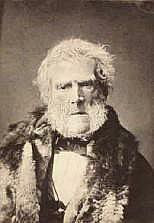 Although he did make concert tours (Rome and Russia in 1853 and Spain 1871) he remained in Paris the rest of his life. Among his own compositions are a concerto for piano and orchestra op. 63, Fantasies, Nocturnes, Waltzes, Mazurkas, Scherzi, Variations and Studien für Piano (among these five collections of12 or 25 etudes each), Arrangements for piano four-hand of works by Beethoven, arrangements of numerous works by other composers (Bach, Mozart, Handel, Haydn, Weber etc.) collected as Classiques du pianiste and published by Leduc. The rest is mostly pieces in salon style. His wife, the pianist Laetita Sari (1822-1893) published numerous works for piano under her maiden name. Read studied music at Colchester Institute and Goldsmiths College, London University, where he completed his M.Mus. in composition. In 1988 he was admitted as a Fellow of Trinity College of Music, London. His music has been performed by numerous ensembles and choirs, and has been featured at many festivals - including Spitalfields, Southern Cathedrals, Corsham, Malvern, Farnham, Bath and the Huddersfield Contemporary Music Festival. His music has also been performed throughout the USA and Europe most recently his work The Christmas Life was broadcast in Norway. In May 1999, Martin was appointed as /millennium composer/ to the Hampshire Music 2000 project, a position that required him to write for a large number of Hampshire's county, area and school ensembles, and which culminated in him conducting nearly 700 performers in his Mary Rose at the Schools’ Prom in The Royal Albert Hall. However, his music is not exclusively performed in Hampshire: The Angel of History was commissioned and premiered by Camarada at the Radio Café in Vienna, Dialogues and Diatribes was commissioned and premiered at the Farnham Festival, whilst the chamber opera Dance to the End of Time, written with the aid of an Investment in Individuals grant from Southern Arts, toured southern England after being premiered at the Corsham Festival in June 2002. 2005 was a very busy year for Martin Read. As well as directing a production of Purcell’s Dido and Aeneas at Alton College and conducting the college Jazz Band at the International Conference Centre in Birmingham, A State of Disharmony was premiered at the Farnham Festival in March, Oetztal Narratives was premiered in Munich in July and …no Full Legal Advice is to be premiered by the Southwark Wind Ensemble in Blackheath [London] in March 2006. In his spare time Martin will be sitting on the jury for the Radio 3/BACS /composer of the year award! As Musical Director of COMA South and Camarada, Martin has commissioned and premiered many new works from - amongst others, Howard Skempton, Richard Rodney Bennett, and most recently Michael Zev Gordon’s Common Ground. He is Head of Music at Alton College and lives in Winchester with Beccy - a music therapist, their two sons Simon and Matthew, two cats, tropical fish and a collection of paintings. Leisure pursuits include Italian food & wine, French food & wine, English pubs, and cycling long distances in Europe with his family and watching football! Reger got his first lessons of piano playing from his mother and later by a young teacher by the name of Albert Lindner. The boy's progress was very rapid and at the age of sixteen he was appointed organist at the Weiden Roman Catholic Church. So his parents contacted Hugo Riemann for advice about their son's future. The result of this was that Reger followed Riemann to Wiesbaden in 1890 to become - first his pupil and soon after his colleague as teacher. In 1901 Reger settled in Munich in an attempt to establish himself as a composer which turned out to be a rather mixed success. His recitals - mostly with music of Mozart and Bach - attracted much attention and little by little the public learned to appreciate his songs and his chamber music. But his whole attitude towards the established musical life was such that he was soon attacked from every camp - and especially the music critics seemed to be his sworn enemies for the rest of his life. At that time the famous German organist Karl Straube began to champion Reger's organ works with the result that he at least could enjoy a certain reputation as organ composer and eventually the publishers began to print his works. If ever there were a composer where greatness and popularity never met - it was Max Reger. To a certain extent this is understandable for Reger never sought popularity. His musicianship was profound and his technical skills were enormous - but even if his music is very complex - every now and then he showed that he could also write both simply and charmingly (The Ballet-Suite, Mozart Variations and Concerto in Old Style) but this was not his primary goal and he loathed the whole concept of symphonic poems. Never the less his great orchestral suite Four Tone Poems after Arnold Böchlin was in fact - symphonic poems. After hearing them the great master of symphonic poems Richard Strauss said: Herr Reger - one more step - and you will be "with the rest of us". But Reger replied: "Yes - Dr. Strauss - but I am never going to take that step!" When listening to performances of Reger's works today - especially bad performances - one cannot but help thinking that the performers should have paid more attention to the way Reger himself performed his works - both as pianist, organist and conductor. Much too often you will hear his intentions being crushed under a massive amount of contrapuntal sound. This was certainly not what Reger wanted - his own performances were invariably marked by clearness and transparency. In his relatively short life he wrote an enormous amount of music - in all genres except opera. Many musicians have gone far to avoid Reger's music because it is extremely demanding from an intellectual point of view, but those (f.ex. Rudolf Serkin and Mark-André Hamelin) who were willing and who could understand Reger's intensions have shown what greatness lay hidden there. Dr. Edel's only words about Reger are: "He wrote many fugues for both organ and piano"! Schubert at the other end watching over him. 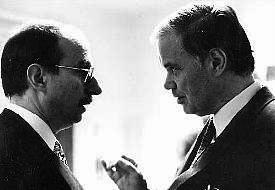 By the way - don't be put off by Reger's looks; he was a very witty man. 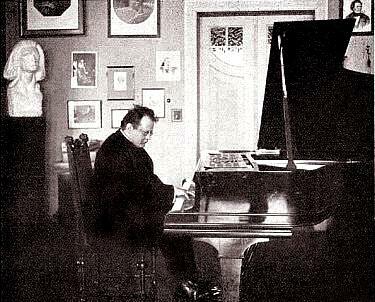 One favorite Reger story tells about the day after the first performance of one of his works. He had again received some hash criticisms and then wrote back to one of the critics: Dear Mr. Critic - I am sitting in the smallest room in my house. In front of me I have your review. In a moment I shall have it behind me! Another story showing Reger's caustic wit happened when the great German conductor Arthur Nikisch was going to premiere one of Reger's orchestral works. Now - Nikisch was known to be relying on talent and intuition - and certainly not on thorough preparation. So - at the first rehearsal Reger said: Why don't we start with the final fugue (Reger often ended his works with a grand fugue). Ah - yes - of course said Nikisch - thumbing feverishly through the score. After a minute or two he gave up and asked: now - where is it the fugue begins?. There isn't any said Reger. Reimann's father was a choral conductor from the circle of the Leipzig school, and his mother; a well-known oratorio singer. Young Aribert began to compose at an early age and at the same time developed his talent as a concert pianist. In 1955 he began studying at the High School of Music in Berlin: composition with Ernst Pepping and Boris Blacher and piano with Otto Rausch. In 1957 he started out as a concert pianist but it was accompaniment to song that had his great interest. This led to close relations with some of the foremost singers in the world and in 1983 he was appointed Professor of Contemporary Song at the High School of Arts in Berlin. Reimann’s career as a composer began at the end of the 50’s with, among other things, a Cello Concerto (1959). In 1962, he gave the premiere of his First Piano Concerto under the direction of Hans Werner Henze and since then he has received numerous awards and commissions. Reimann never felt at ease in the constraints of the avant-garde or to changing fashions, but rather developed according to individual inner principles and thus ‘Independent thinking and a personal language’ became ideals of composition for him putting him firmly outside the mainstream of new music. Very early Reimann began to concentrate on two genres: song (often with the accompaniment of orchestra) and opera becoming one of the most important German composers of both. Among his operas are Traumspiel (Dream Play), Gespenstersonate (Ghost Sonata), King Lear and Troades, many of these typically showing Reimann's interest in the dark side of human existence by using librettos after writers as Strindberg, Shakespeare and Kafka. His larger works with song counts among the most important Five Poems by Paul Celan for baritone and piano. These were followed by seven further song cycles, for voice – usually soprano or baritone – and piano. In addition, he has written eight song cycles with orchestral accompaniment and eleven individual pieces of varying extent for voice and different accompaniments. But still Reimann has composed f.ex. chamber music like Invenzioni for twelve players (1979) to the String Trio (1987) and for orchestra he - apart from several instrumental concertos - plays with a concerto setting: baritone, cello and orchestra in Wolkenloses Christfest after Otfried Büthe (1974) or mezzo-soprano, piano and orchestra in Ein apokalyptisches Fragment after Karoline von Günderrode (1987). His comments about detail of his compositions could just as well apply to his whole development in the last three decades: In my work I am dedicated to the principle of variation. If something returns it must return differently. The concept of metamorphosis plays an important role in my composing. The text is from James Joyce and the work was composed for Dietrich Fischer-Dieskau. Since 1640 the town of Altona belonged to Denmark and because Schleswig and Holstein were Danish duchies the boarder between Germany and Denmark was drawn as far south as right outside Hamburg. Indeed Altona was a Danish competitor to Hamburg for its rich trade with easy access to the North Sea. After the war in 1864 Denmark lost Schleswig and Holstein and with them the important city of Altona from where - the perhaps most Danish composer ever - came, C. F. E. Weyse. Here Reinecke was born and very early he showed great musical gifts. At first he was solely educated by his father, who was an accomplished musician himself. At he age of eleven Carl was able to perform satisfactorily in public, at nineteen he made a concert tour through Sweden and Denmark, and after three years of intense study in Leipzig he was in 1843 appointed court pianist to Christian VIII of Denmark - the king who got the bright idea to give a piece of land right outside the Copenhagen city walls to create Tivoli. (It may be interesting for tourists to know that the lake inside the Tivoli Gardens is in fact the last part remaining of the old moat). From 1851 to 1854 Reinecke was an instructor at the Cologne Conservatory, from 1854 to 1859 music director at Barmen, from 1859 to1860 director of the Singakademie, Breslau and from 1860-95 he was conductor of the Gewandhaus concerts in Leipzig and professor of compositions at the Conservatory. Reinecke's compositions are very numerous, including operas, choral works, symphonies, string quartets, quintets, trios, and sonatas for piano and strings, many smaller pianoforte works, songs and part-songs, and concertos for the piano, the violin, and the cello. From his death at the age of 85 and until the 1980s his music was practically forgotten but now enterprising CD companies have done a marvellous job of restoring him to his former position. The sonata is in four movements: 1. Allegro moderato, 2. Andante lento; in fact variations on a Hungarian song, 3. Menuetto 4. Allegro molto. Reinhold started his musical career as a choir boy of court chapel in Vienna after which he was admitted to the Conservatorium der Musikfreunde - with the financial support of the Duke of Saxe-Coburg and Gotha. His most important teachers were Anton Bruckner (composition), Otto Dessoff and Julius Epstein (who was also Mahler's piano teacher and fatherly friend). Reinhold stayed at the conservatory till 1874 and later he became teacher himself (of piano) at the Akademie der Tonkunst, in Vienna. He was a prolific composer and his works were performed by the Vienna Philharmonic Orchestra and the famous Hellmesberger Quartet and were praised by the Vienna critics. 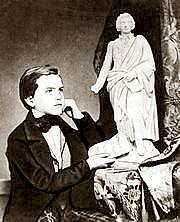 Rheinberger shoved exceptional talent as a child. At the age of five he was already given lessons in theory, piano and organ and seven years old he was appointed organist to the parish church of Vaduz. One year later he attracted attention with the performance of his first composition, a Mass and when he was ten his father was persuaded to send the boy to Feldkirch to become pupil of the choir-director Philipp Schmutzer. Here he stayed for two years - keeping his job as organist in Vaduz and making the ten miles' journey back and forth once a week on foot. In 1851 he entered the Munich Conservatory studying piano, organ and counterpoint and after leaving this institution in 1854 he became a private pupil of Franz Lachner - supporting himself by giving piano lessons. In 1859 he became piano professor at the conservatory and one year later also professor of composition. When the Conservatory closed in 1860 he found other work as coach and as organist at the court church of St. Michael until Hans von Bülow's reorganization of the Conservatory in 1867 when Rheinberger again was made professor of organ and composition - and now with the title og Royal Professor. The stories of his musical abilities are truly remarkable: Once as a coach he played The flying Dutchman from the full score - sight-reading and transposing at the same time, and it did not matter to him how notes were placed on the music stand - he played the music with equal security even if they were turned upside down. Rheinberger was a highly esteemed teacher with pupils like Engelberth Humperdinck, Ermanno Wolff-Ferrari and Wilhelm Furtwängler. At the same time he was a very prolific composer in all genres - even opera though he found theatrical work uncongenial. who for some reason referred to him as "Kurt"
Rheinberger has suffered much neglect after his death, but his music is regaining some sort of position today. For many years only organists played his works - and then only his small preludes (and not one of his grand sonatas) but for example his two concertos for organ and orchestra are great and memorable works. The 6 studies have been recorded on CD by Jürg Hanselmann together with Josef Rheinberger's complete works for piano solo. Giulio was son of Tito Ricordi (1811-1888) and grand son of Giovanni Ricordi (1785-1853) founder of the well-known publishing-house at Milan. His music was mostly of drawing room nature. 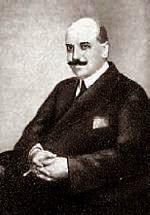 Ridky studied composition and music theory with Karel Boleslav Jirak, Joseph Bohuslav Foerster and Jaroslav Kricka at the Prague conservatory from 1919 to 1926. He was employed as a harpist and choirmaster in the Czech Philharmonic from1924 to 1938. Since 1932 he was a teacher of music theory at the Prague conservatory and from 1946 he was teaching composition at the Academy of Music in Prague. He wrote about 70 compositions (largely chamber and orchestral works). His polkas and marches from the 1940s and 1950s became very popular. Rimsky-Korsakov was - alongside with Tchaikovsky - one of the 19. century's greatest Russian composers and is today considered - with Ravel - one of the most sophisticated instrumentators in musical history. But the secret behind his brilliant instrumentation was not - as many think - only a matter of which instruments suited each other. According to the autobiography of the great conductor and pupil of Rimsky-Korsakov, Nikolaj Malko - he had one further trick up his sleeve: During his lessons Rimsky-Korsakov emphasized which intervals suited each instruments best - e.g. octaves in the trumpets and fifths in the horns etc. Eugénie Rocherolle graduated from Newcomb College at Tulane University after which she went to France to study with Nadia Boulanger in Paris and since 1962 she has been a resident of Connecticut. Mrs. Rocherolle has been awarded by the National League of American Pen Women and she is also a member of ASCAP, from whom she has received a number of awards. "I do all my composing at the piano. I love the whole creative process, the feel of the keys, the sounds, the variety of touch and tone that an acoustic keyboard can give· It doesn't take much to get me going. It can be a topic, a title, a mood, a musical form· I work quickly, letting the music almost write itself." Hands separately (Four Pieces For the left hand and the right): Adagio and Fantasia (The other two pieces of the work: Waltz and Etude are for the right hand alone). Rodgers was the son of a wealthy Jewish family and had the best education in a school where he at the age of 17 met his first text-writer, Lorenz Hart. His first break-through came in 1925 when he wrote songs a benefit show presented by the prestigious Theatre Guild and this made the couple Rodgers and Hart famous. They stayed professionally together for the next ten years producing shows like Dearest Enemy (1925), The Girl Friend (1926), Peggy-Ann (1926) and A Connecticut Yankee (1927). During the Depression the couple turned their attention to Hollywood before returning to Broadway in 1935 with Jumbo (1935), On Your Toes (1936), Babes In Arms (1937), The Boys From Syracuse (1938), Pal Joey (1940) and their last original work By Jupiter (1942). When Hart died in 1943 Rodgers began working with Oscar Hammerstein II producing successes like Oklahoma (1943), South Pacific (1949), The King And I (1951) and The Sound Of Music (1959). During his career Rodgers received 34 Tony Awards, 15 Academy Awards, 2 Pulitzer Prizes, 2 Grammy Awards and 2 Emmy Awards. This in fact the first of Pre-tem Suite which consists of three more pieces but for both hands. Ethel Tench Rogers began her musical education at the University of Vienna, Austria. She has written over 150 books for piano, organ, synthesizer, and children's anthems. Ethel is currently a teacher and composer. Catherine Rollin received her bachelor of musical arts degree from the University of Michigan and her master of music degree from Oakland University School of Performing Arts. 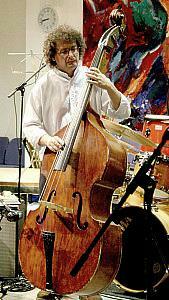 Since then has featured as soloist with numerous orchestras, and is an active chamber musician in the Detroit area. Her work as a composer has won her many distinctions. Among these, Ms. Rollin has been commissioned by Clavier magazine, the Music Teachers National Association and the Michigan Music Teachers Association. A large of her compositions were selected for the 2001-2003 National Federation of Music Clubs Festivals Bulletin. She has also served as a judge on the national level for the MTNA Student Composition Competition and she has acted as a member of the prestigious panel of judges for the Lynn Freeman Olson Composition Contest. Catherine Rollin has traveled to more than 50 cities in the United States and Canada to present her workshops. In recognition of her teaching ability, she was voted Teacher of the Year in 1987 by the Detroit Musicians League. Ms. Rollin is state and nationally certified by the Michigan Music Teachers Association and the Music Teachers National Association. Her private students have won numerous awards statewide, regional and national. When Rorem was still a child his family moved from Richmond to Chicago and at the age of ten his piano teacher had introduced him to the music of Ravel and Debussy, which changed the boy's life. At seventeen he entered the Music School of Northwestern University, two years later receiving a scholarship to the Curtis Institute in Philadelphia. He studied composition under Bernard Wagenaar at Juilliard, taking his B.A. in 1946 and his M.A. degree in 1948. In New York he worked as Virgil Thomson's copyist in return for $20 a week and orchestration lessons. He studied on fellowship at the Berkshire Music Center in Tanglewood in the summers of 1946 and 1947.In 1949 Rorem moved to France where he lived until 1958 absorbing the artistic and social milieu of post-was Europe in the company of the leading musical figures. Ned Rorem who has also been active as a writer has been the recipient of a Fulbright Fellowship (1951), a Guggenheim Fellowship (1957), and an award from the National Institute of Arts and Letters (1968). He received the ASCAP-Deems Taylor Award in 1971 for his book Critical Affairs, A Composer's Journal, in 1975 for The Final Diary, and in 1992 for an article on American opera in Opera News, and in 1976 his suite Air Music won the Pulitzer Prize in music. Among his many commissions for new works are those from the Ford Foundation (Poems of Love and the Rain, 1962), the Lincoln Center Foundation (Sun, 1965); the Koussevitzky Foundation (Letters from Paris, 1966); the Atlanta Symphony (the String Symphony, 1985); the Chicago Symphony (Goodbye My Fancy, 1990); and from Carnegie Hall (Spring Music, 1991). Among the distinguished conductors who have performed his music are Leonard Bernstein, Kurt Masur, Zubin Mehta, Dimitri Mitropoulos, Eugene Ormandy, André Previn, Fritz Reiner, William Steinberg, and Leopold Stokowski. Ned Rorem's attitude toward composing can best be summed up in his own words: Why do I write music? Because I want to hear it - it's simple as that. Others may have more talent, more sense of duty. But I compose just from necessity, and no one else is making what I need. It couldn't be said more simply and beautifully. The concerto was written for the left-hand pianist Gary Graffman who premiered the work at the Curtis Institute (where Graffman is president) in 1993 with André Previn conducting. According to the composer it is perhaps not a concerto in the usual sense but an entertainment shaped like a suite. It is in eight movements divided into three sections: 1. Opening passacaglia, 2. Tarantelle, 3. Conversation - 4. Hymn, 5. Vignette - 6. Medley, 7, Cadenza, 8. Closing passacaglia. The concerto is based on a twelve-note motif but the work emerges as both tonal and melodic. Rosenthal studied in Vienna and Berlin with Mahler's teacher, Julius Epstein (piano), Robert Fuchs (composition) and Guido Adler (theory). After this Rosenthal took up piano teaching himself - first from 1901 to 1914 as professor at the Conservatory in Breslau and later, in 1922 as professor at the New Vienna Conservatory. His compositions include instrumental works and songs - among these a quintet in E flat major for Flute, Oboe, Clarinet, Horn and bassoon.. Besides he published many theoretical and other educational essays: Das Problem des Anschlags, Über Phrasierung und Probleme der musikalischen Metrik (1925/26), Auftakt und Abtakt in der Thematik Beethovens (1927 in connection with the centenary for Beethoven's death) and the same year Über musikalische Metrik (About Musical Metrics) (Musikpädagogische Zeitschrift). Rosenthal began his pianistic education at the age of eight with Galloth and continued at the Lwów Conservatory under the Chopin pupil Karol Mikuli from 1872 to 1874 and later under Joseffy in Vienna before finally becomming a pupil of Liszt in Weimar and Rome. Chopin's works according to what he had heard and learned from the master himself. After having made his debut in Vienna in 1876 he touring Romania and Poland but after two years of that he disappeared from the concert stage for six years devoting himself to the study of philosophy at the Vienna University. Then in 1888 he reappeared before the public as one of the greatest virtuosos and musicians with more maturity, more conscious of his aims and musically better equipped - and with a tremendous technique, a great range of dynamic shades and a truly grand style. In 1888 he made an extensive tour in America and in 1895 he baffled the English audiences with his truly pronominal art. Rosenthal, Emil von Sauer and Eugene d'Albert were indeed the most celebrated pupils of Liszt and because of his tremendous technique, great range of shades and grand style Rosenthal ranked with the greatest artists of his time. The deeply musicality of his Jewish race, the Slavonic temperament and the melancholy of his Polish birth and upbringing together with the orderly and systematic training in Austria and Germany formed in him a musical outlook of supreme order. As a Chopin player he was placed among artists like Paderewski, Pachmann and Godowsky but with a technique only comparable with the last. Rosenthal also composed several piano pieces and together with Schytte wrote a Schule des höheren Klavierspiels (School of the Advanced Piano Playing). He did make some recordings but most of them were made too late; he was then about 80 and had more or less lost control. On the other hand he made some piano roll recordings earlier, and if they can be trusted (which is not always the case) he really was a artist of the highest order. The score is signed and inscribed: Paul Wittgenstein in Bewunderung zugeeignet von Moritz Rosenthal. (Dedicated to Paul Wittgenstein in admiration by Moritz Rosenthal). Autograph manuscript of an untitled work. marked: Extensively annotated by Wittgenstein and also Ähnliche Anderungen empfohlen! Überhangt wird jede Änderung durch Paul Wittgenstein von mir acceptirt Moriz Rosenthal. Rowley studied at the Royal Academy of Music with Frederick Corder and won several scholarships and prizes. After his student years he was appointed organist to different London Churches including, during the Second World War, St Margaret's, Westminster. As a pianist he often performed duets with the pianist Edgar Moy in recitals frequently broadcasted by the BBC. In 1920 he was engaged as a staff member of the Trinity College, London where he was elected a Fellow and where he taught until his death. In 1934 he was also elected a Fellow of the Royal Academy of Music. Apart from his teaching, performances and compositional works Rowley has published several books on music. Now - the fact that he was also a very good tennis player could very well seem irrelevant here if it were not for the fact that he actually died on the tennis court - thus becoming a member of that peculiar Society of Composers with Unusual Deaths (together with Cesar Frank being run over by a street car, Chausson falling of his bicycle, Alkan being crushed under a falling book case, Novak falling from a cliff during mountain climbing, Mareo sentenced to death (but luckily let off with 12 years of imprisonment), and Esrum-Hellerup choking on a fish bone etc.). 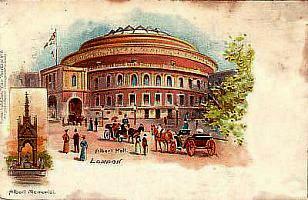 Many of Rowley's compositions were premiered at the Proms at the Royal Albert Hall during the Second World War. since 1941 - on a vintage postcard from ca.1904. Among these works were Three Idylls for piano and orchestra and Burlesque Quadrilles for orchestra. His two more ambitious works, English Suite and The Boyhood of Christ were performed at The Cheltenham Festival by the Hallé Orchestra in 1949 and 1954 and already since 1930 the BBC had regularly broadcast his music. Beside these works Rowley has composed two piano concertos (1938), a Rhapsody for viola and orchestra and a number of Concertinos for either piano, violin, cello or organ. Among his lighter suites are Three Arcadian Pictures, Christmas Suite, Pastoral Suite, Folk Dance Suite, Nautical Suite, Shepherd's Delight, Country Idylls, a Fantaisie, Andante Religioso and a Legend for violin and strings - and many others. Rowley also composed chamber music, piano music (two or four hands) and two organ symphonies (B minor and F major) but is today mostly remembered for his music for amateurs. Rubinstein received his first musical training from his mother and showed such great talent that he was sent to Moscow to become pupil of the once famous teacher Alexander Villoing. At the age of nine he made his first public appearance and the following year he went on his first tour outside Russia accompanied by his teacher. The journey took them to Paris where Rubinstein met Franz Liszt whose pupil he would have liked to become - and he tried several times. But the great virtuoso turned him down with the words: A talented man must win the goal of his ambition by his own unassisted efforts. Certainly strange words from a pianist who hardly ever turned a talented pupil down - and whose own winnings had certainly not been unassisted. This turning down later has caused much speculation: did Liszt just shy off at the Russian's volcanic temperament or did he already then sense a rival coming?. But the rival did come - and Rubinstein paid him back in his memoirs years later - writing about their reunion in 1871: We met as old friends sincerely attached to each other. I knew his faults (a certain pomposity of manner for one thing) but always esteemed him as a great performer - a performer virtuoso, indeed, but no composer. In 1842 he went on an extended tour to England, Holland, Germany and Sweden (where he refused to accept a very high order from the king saying: Please take it back - it's nothing for me. The king can not give me that with a clear conscience - for during the entire concert he was playing Whist, so he can not have known, if I deserved it. In 1845 Rubinstein went to Berlin for a year to study composition with Siegfried Dehn and then settled in Vienna and Pressburg as piano teacher from 1846 to 1848. That year he returned to Russia becoming chamber virtuoso to Grand Duchess Helena Pavlovna. But Rubinstein kept on with his studies and after eight years of diligent work he emerged as a fully fledged artist and with piles of compositions that soon became popular in Germany and elsewhere and at once found willing publishers. At this time a most wonderful rumor spread over the entire Europe: Rubinstein was in fact an illegitimate son of Ludwig van Beethoven. Well - he looked like Beethoven and he played like Beethoven - snapping strings and killing pianos by the dozen with his volcanic temperament. Moscheles - who had known Beethoven - could simply not believe his own eyes and even Liszt called him Van the 2nd. It would be wrong to claim that Rubinstein (though a very modest man) did not thrive on this rumor. From this time on his fame spread all over the world as a composer and piano virtuoso - perhaps second only to Liszt and giving concerts everywhere and always hailed for his absolute perfection of technique. In 1872 he went to America giving 215 concert in 239 days at 200 $ per concert - paid in pure gold. The rival sure had come. But reality was, that Rubinstein became one the world's greatest pianists ever - an artist with a gigantic repertory giving concerts which usually ran up to three hours - and who would almost give the Hammerklavier Sonata as an encore. By jinks, it was a mixtery! He fetched up his right wing, he fetched up his left wing, he fetched up his center, he fetched up his reserves . . . He opened his cannon - round shot, shells, shrapnels, grape, canister, mines and magazines - every living battery and bomb a-going at the same time. The house trembled, the lights danced, the walls shuck, the sky split, the ground rocked - heavens and earth, creation, sweet potatoes, Moses, nine-pences, glory, ten-penny nails, Sampson in the 'simmon tree - Bang !!! With that Bang! he lifted up himself bodily in the air, and he came down with his knees, fingers, toes, elbows and his nose, striking every single solitary key on the pianner at the same time . . . I knowed no more that evening. Funny or not - Rubinstein was one of the greatest pianist ever, which is documented by the fact that Frau Clara Schumann hated him - and his unmusical playing saying among other things in her diary: I was furious, for he no longer plays. Either there is a perfectly wild noise or else a whisper with the soft pedal down. And a would-be cultured audience puts up with a performance like that! But to the pedantic Hans von Bülow, Rubinstein was the Michelangelo of Music, and the otherwise merciless Eduard Hanslick said: Yes, he plays like a God and we do not take it amiss if, from time to time, he changes, like Jupiter, into a bull. And Ilka Horovitz-Barnay called him A Titan, a wizard and a super-human. One beautiful anecdote about Rubinstein deserves to be retold here: During a tour Rubinstein stayed at a small hotel in some small East Prussian town and practiced late in the night - mostly scales. Suddenly the waiter of the hotel brought him a note from the lady next door: If you really are determined to prevent your neighbors from getting any sleep - could you at least not play something worth hearing. 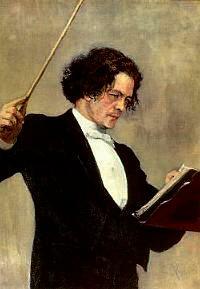 A note was sent back to the lady saying: I most humbly apologize for your inconvenience - Anton Rubinstein. The next morning the lady had left the hotel very early. In 1861 Rubinstein helped founding the St. Petersburg Conservatory - the first one in Russia and rounded up an imposing faculty. He became its first director but soon felt a growing opposition from the Mighty Handful (Mily Balakirev, Alexander Borodin, Cesar Cui, Nikolaj Rimsky-Korsakov and Modest Mussorgsky) - who accused him of being too western (German) orientated. As a composer Rubinstein wrote 15 operas, 6 symphonies, 5 piano concertos, 8 string quartets just to mention some of the major works. Beside that were choral works, orchestral suites and fantasies, chamber works for different combinations, more than 100 songs and - naturally - lots of piano music - including 4 major sonatas and - of course - his Melody in F.
This is in fact not a genuine work for the left hand. It only has the opening 8 bars for the left hand solo, repeating the material with both hands. In the middle part of the Etude there is another 12-bar Solo for the left hand, followed by the two-handed end. Gerhard Rühm Austrian poet, painter, composer etc. etc. Rühm began his studies at Akademie für Musik und darstellende Kunst in Vienna where he at first concentrated on piano and composition and became a pupil Josef Mathias Hauer. At the age of twenty his interest began to focus on painting and graphics and after having met H. C. Artmann, his first poems began to appear and he became one of the founders of the Wiener Gruppe. In 1964 he left for Berlin because his works were boycotted by the Viennese publishers, and later he has been active in Cologne and Hamburg. Beethovens "Für Elise" für die linke hand am klavier und die rechte an Elise (1970) (The title means “Beethoven’s Für Elise for the left hand on the piano and the right one on Elise“. Now this seems to be a very good idea - but not a very new one. When Franz Schubert in the summer 1824 worked at count Eszterházy's castle Zelesz as music teacher for the two comtesses, he is said often to have played four-hand pieces with one of them securing that the primo and secundo part were so close that he more or less had to have his arms around her). By the way this Elise has never been identified - and indeed everything points to the fact that because of Beethoven's terrible handwriting the title was misread. It should read Für Therese - meaning Therese von Brunswick. The idea of portraying the four temperament in music (the choleric, the phlegmatic, the melancholic and the sanguine) is not new. Carl Nielsen's 2nd symphony, op. 17 (1902) is called The Four Temperaments and so is Hindemith's Theme with four variations for piano quartet (1946). Adolf came from a very musical family; his father Friedrich (1800-1862) was court oboist in Stuttgart and he also composed a number of pieces for his own instrument, for the zither and for choir. One other son of his, Julius (1841-1909) became violinist and conductor who after being educated by Halévy was active in Paris, Riga, Leipzig, Bremen and finally in Berlin as conductor at the Kroll Opera. Besides he composed incidental music for Bjørnstjerne Bjørnson's play Hilde (Bjørnson who wrote the play Peer Gynt), some songs and short choral works. Adolf got his education in Stuttgart under Sigmund Lebert (1822-1884) (real name: Levi - and founder of the Stuttgart Conservatory) and Ludwig Stark (1831-1884) and after several years as teacher in Geneva (1868-1885) he returned to Germany and became teacher at the Leipzig Conservatory in 1887 and professor from 1910 to 1914. Most of his published works are of pedagogical nature but he was also a prolific composer though not with any great originality. A large amount of studies and exercises were his most successful works but he also published a sonata for two pianos op. 31, a trio for piano, oboe and viola op. 34 and a prelude with fugue in two parts for piano op. 46. Rybicki studied composition at the Warsaw Conservatory with R. Statkowski, W. Maliszewski and L Rozycki and conducting with E. Mlynarski and H. Melcer. After this he went on to conduct at several theatres in Warsaw - often in corporation with L. Schiller and in Lodz. From 1937 to 1939 he was choir conductor at the Concert House in Warsaw and from 1951 he taught conducting at the Conservatory in Sopot. As a composer he has written many pieces for children especially miniatures for piano and among the larger forms are the symphonic fairy tale Sierotka Marysia i krasnoludki and a piano concerto for small hands. Further he has composed cantatas and suites inspired by Polish folk music f.ex. Mala suita ludowa and film music to Ksiezna Lowicka and Professor Wilczur.